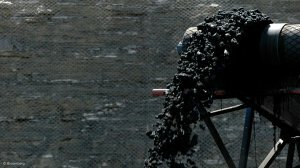 PERTH (miningweekly.com) – The shares in junior coal developer Prairie Mining increased by nearly 24% on Wednesday, after the company confirmed potential international legal proceedings against the government of Poland. Prairie in December 2016, applied to the Ministry of Environment to amend the 50-year concession of its then newly-acquired Debiensko mine, to extend the stipulated time for first production from 2018 to 2025. The Ministry of Environment denied the amended application. Furthermore, Poland’s Supreme Administrative Court in January also ruled that the Ministry of Environment should approve Prairie’s resource estimate for the K-6-7 deposit, at the Jan Karski mine, upholding a 2016 Regional Administrative Court decision. Prairie said on Wednesday that the company had formally notified the Polish government that there was an investment dispute between the company and the government, arising out of certain measures by Poland in breach of the Energy Charter Treaty, the UK-Poland Bilateral Investment Treaty, and the Australia-Poland Bilateral Investment Treaty. The company’s notification calls for ‘prompt negotiations’ with the government to resolve the dispute, indicating that Prairie had a right to submit the dispute to international arbitration, in the event that it was not resolved amicably. “Prairie Mining can confirm that we are taking all necessary actions to preserve our rights and protect our investments in Poland. We remain hopeful that our dispute with the government can be resolved amicably,” the company said to shareholders. Prairie shares were trading at a high of 35c a share on Wednesday, up from a low of 32c a share.